Morocco is well known for beautiful and original handwoven wool rugs, made mostly by Berber tribes, with the weaving reflecting their creative independence and age-old traditions and beliefs. 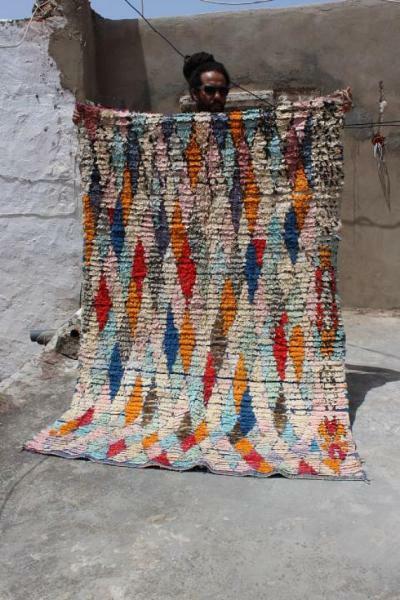 Since the middle of the 20th century, a new type of rug started to become better known when Berber women started to make a variety of practical domestic carpets using a wider range of non-wool materials and began to use new non-traditional styles for these pieces. Now it is found in some of the hippest homes!